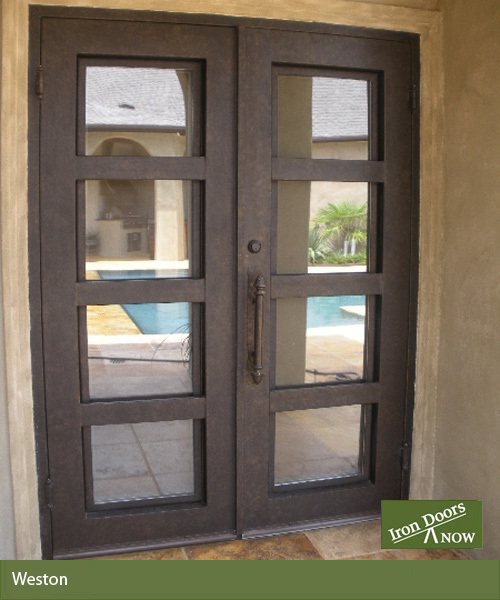 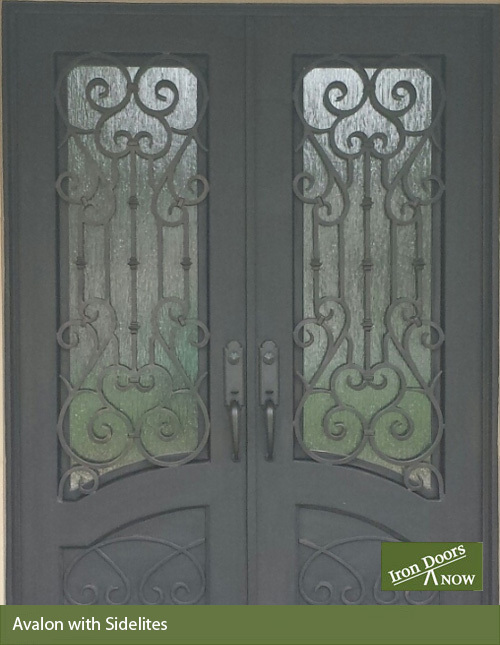 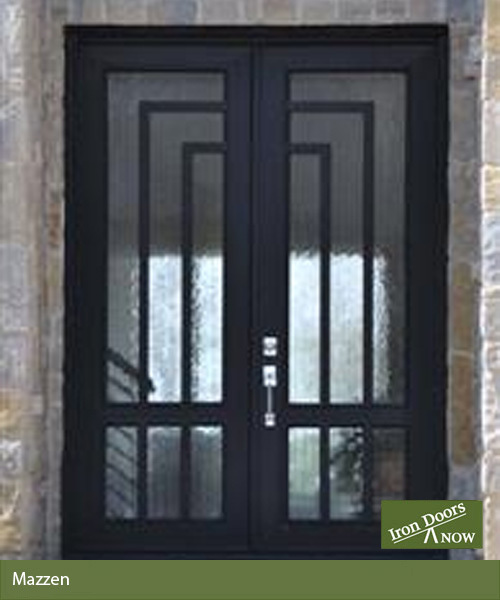 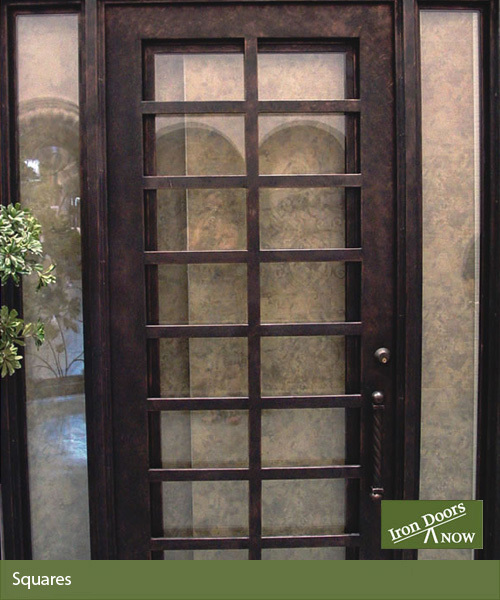 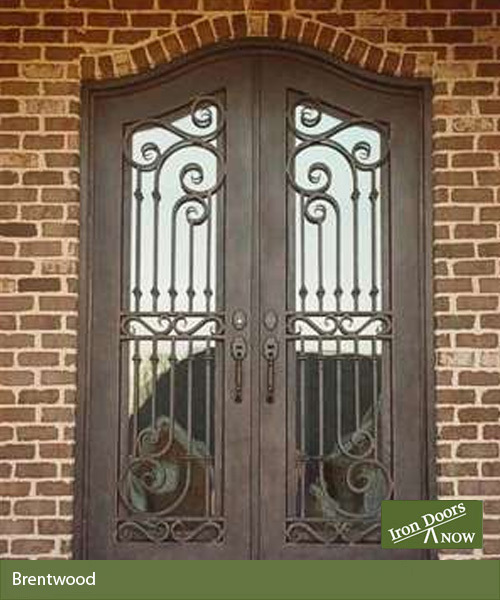 Please take some time to browse our selection of iron doors. 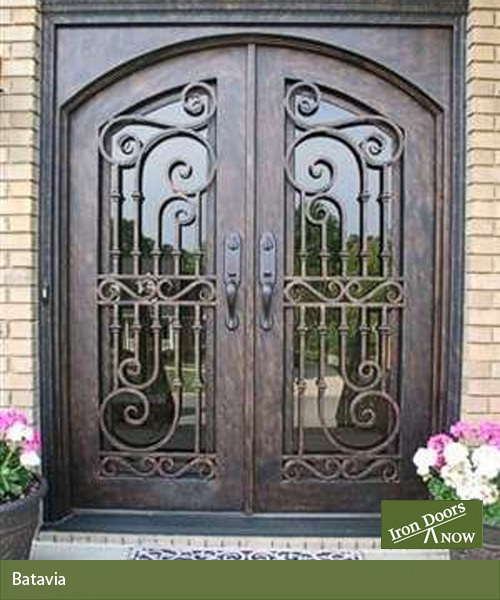 We've put together a gallery highlighting some of our most beautiful iron doors to give you inspiration and help you choose the door that's right for your home. 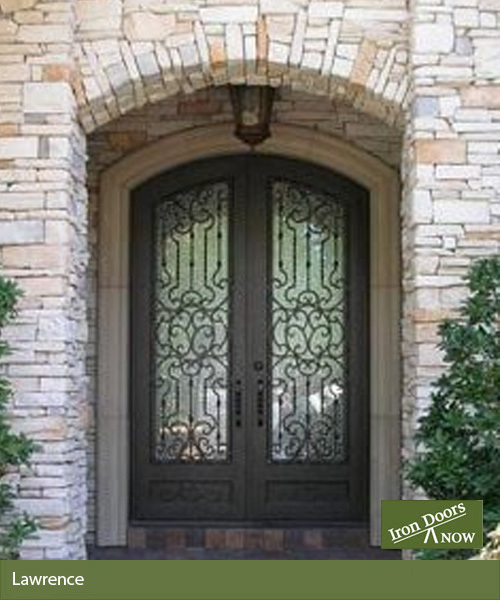 You'll notice thoughtful details like custom made door handles that coordinate beautifully with the style and color of each door and a variety of glass panel options for optimum light combined with privacy. 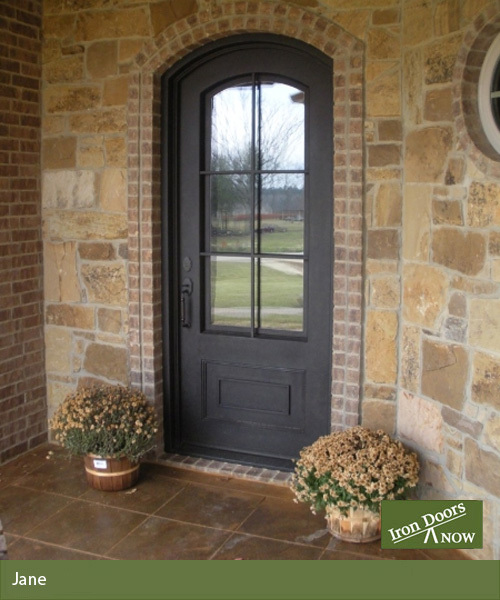 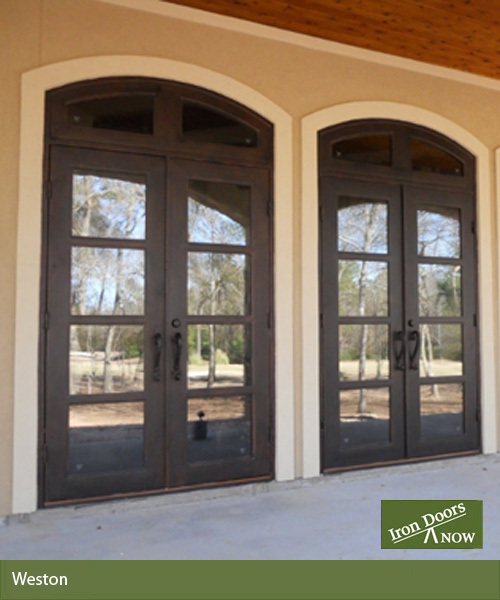 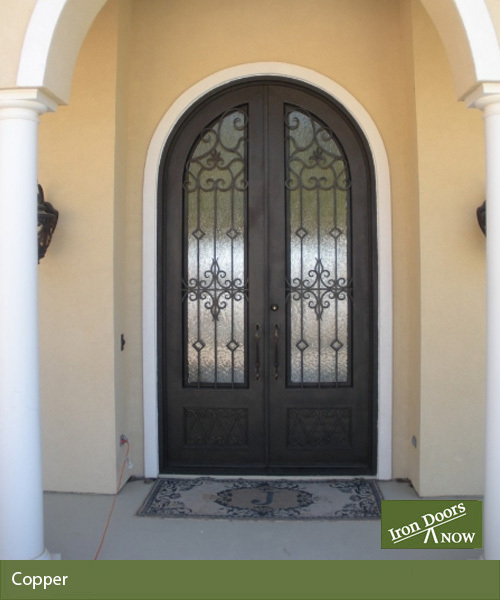 We are proud to offer a complete line of arched double and single entry doors for both interior and exterior use. 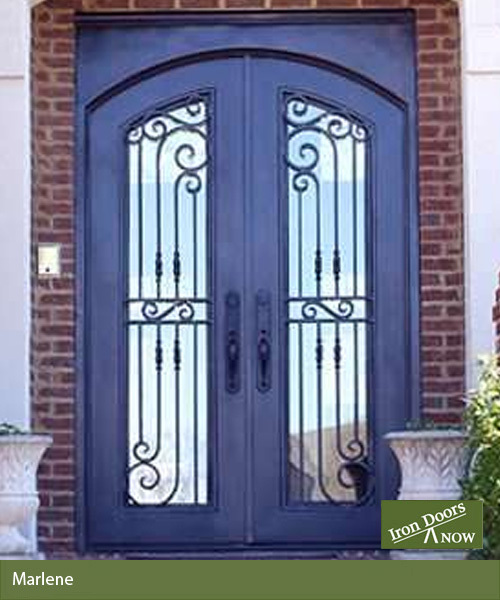 Our Malibu iron doors are a wonderful addition to any contemporary chic home. 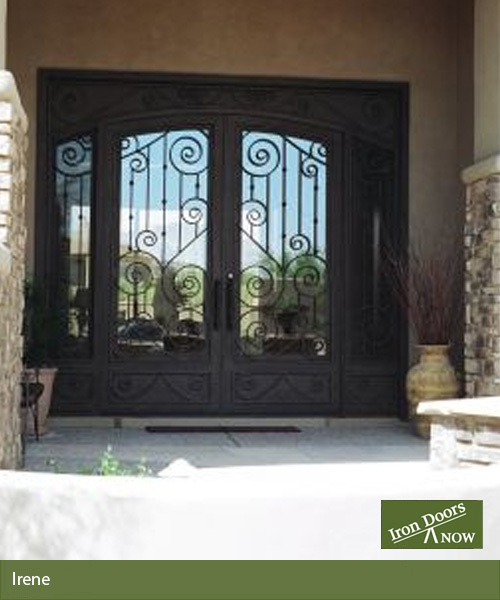 Bold swirls of wrought iron reflect a modern sensibility and urban flair. 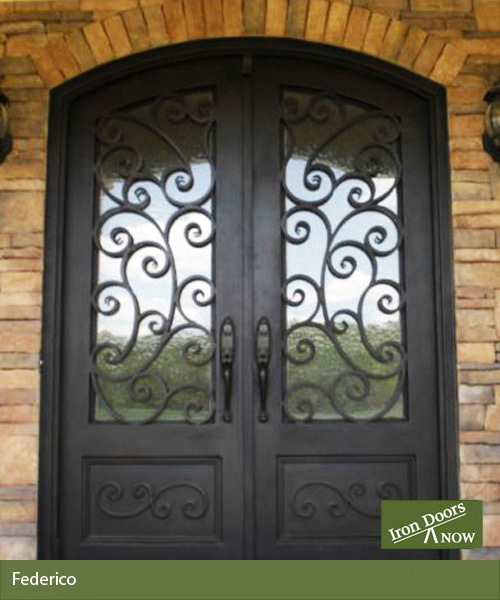 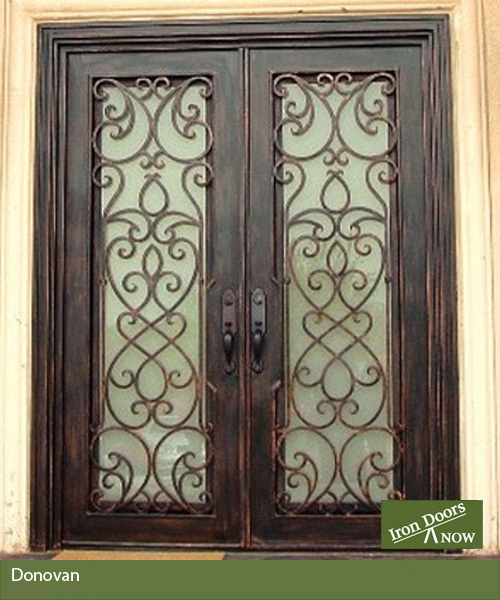 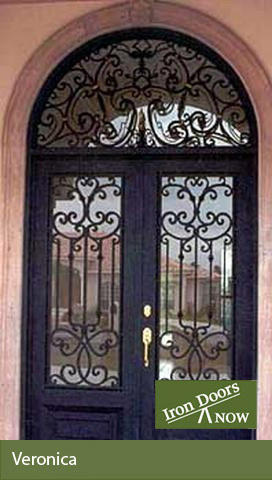 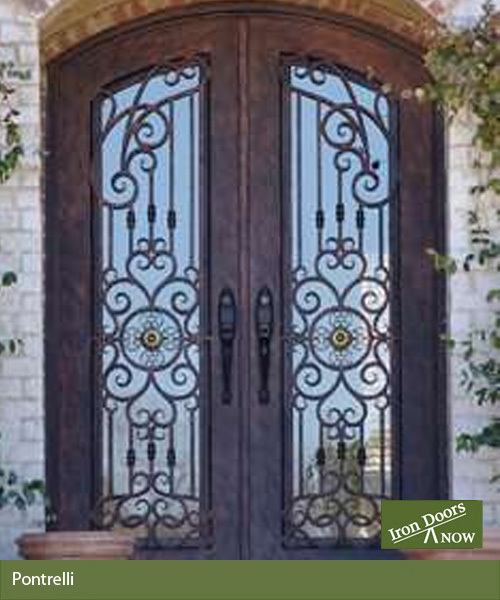 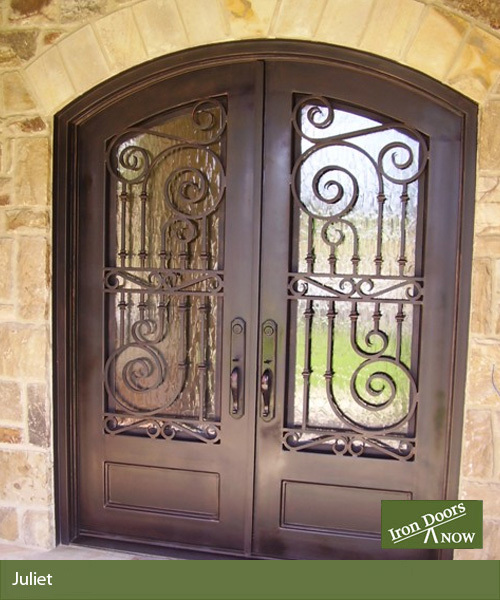 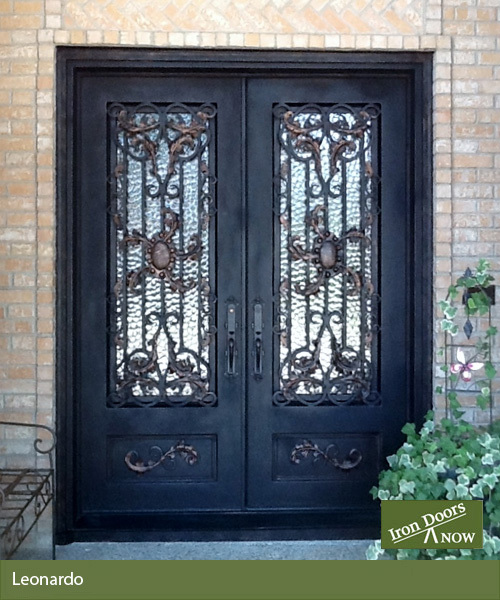 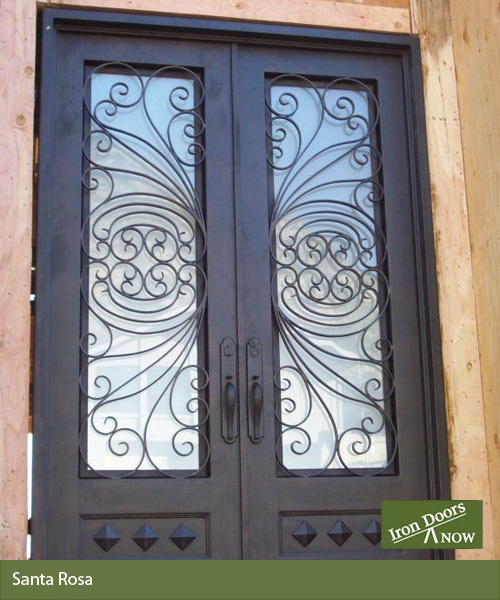 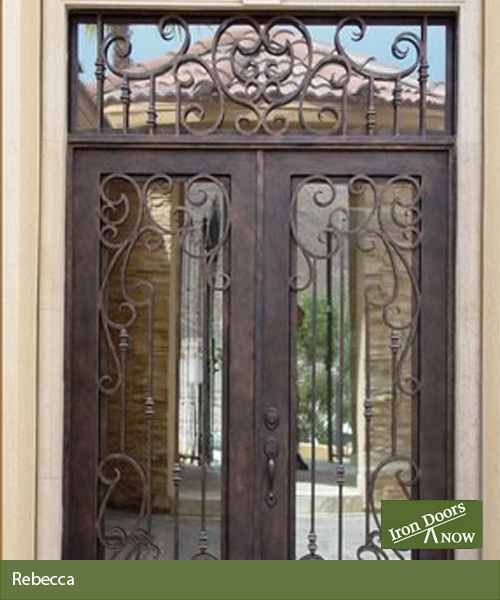 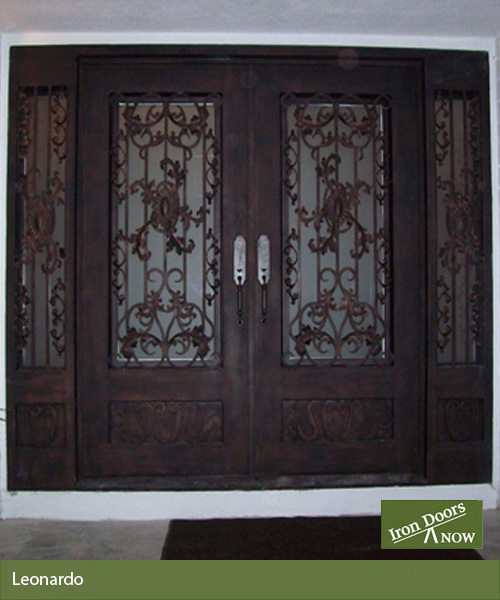 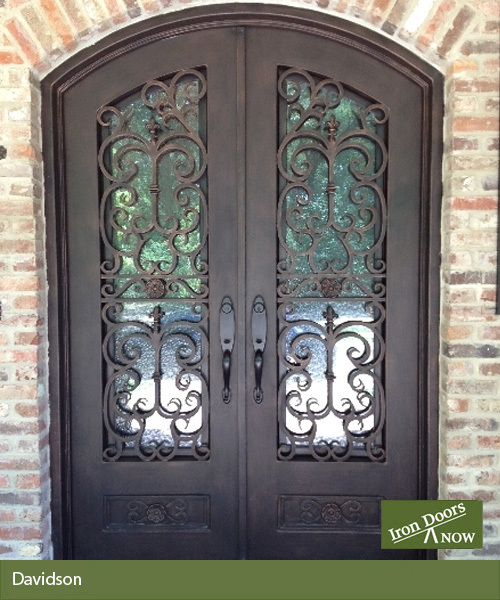 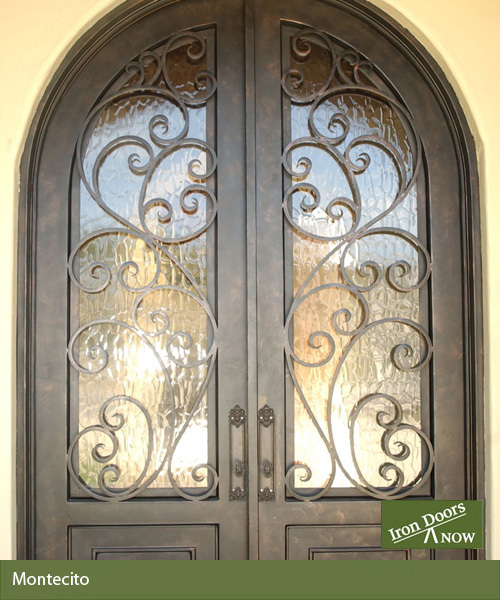 For the true romantic, our Victoria iron doors are rich with elaborate wrought iron scrollwork and floral motifs. 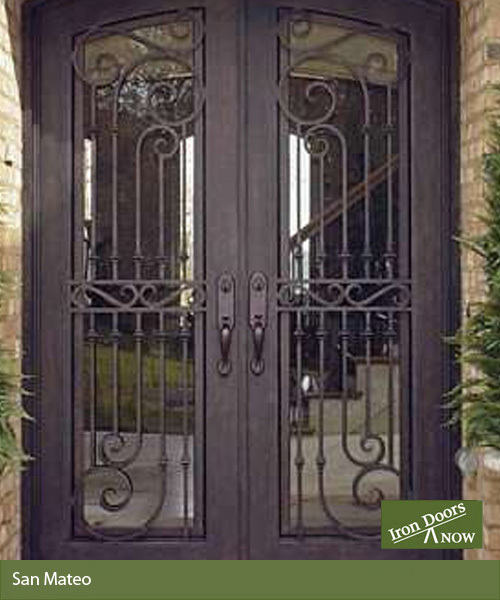 Or create an elegantly simple entryway with our Florence iron doors, featuring understated iron curls that are the essence of formal beauty. 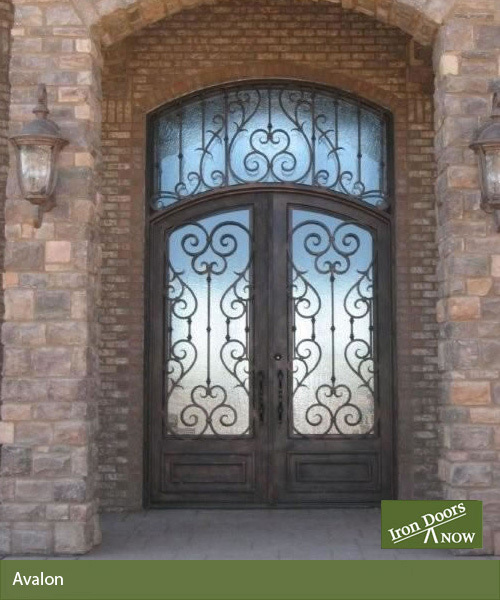 All of our iron doors allow plenty of natural light into your home with full or partial glass panels. 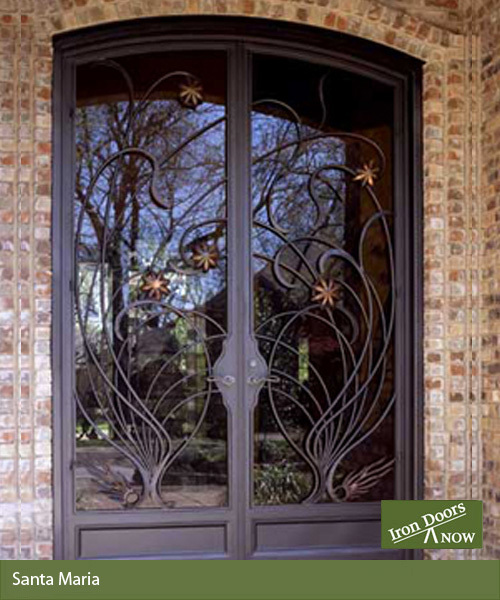 You'll notice our gallery photos highlight the rich variation of glass available for your iron doors, from highly textured rain glass to the muted light of our frosted glass. 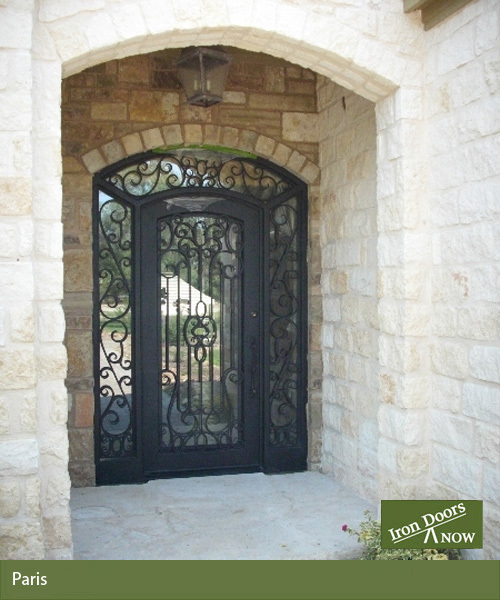 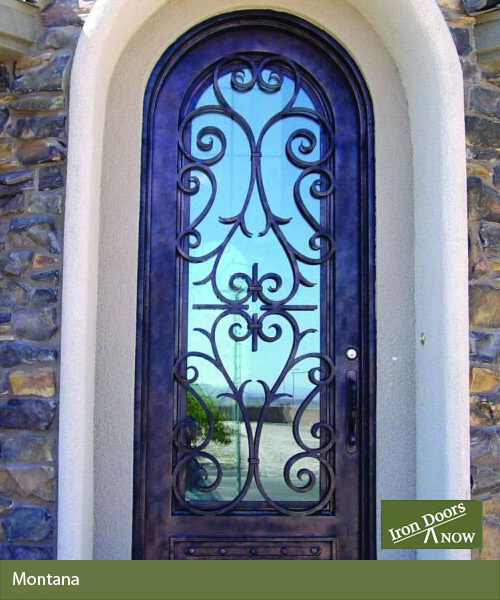 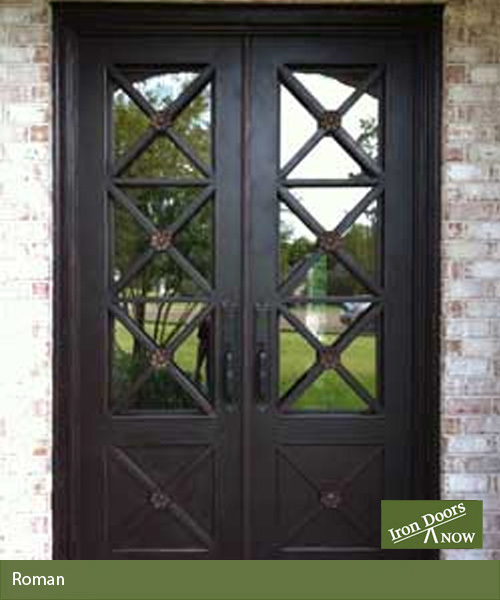 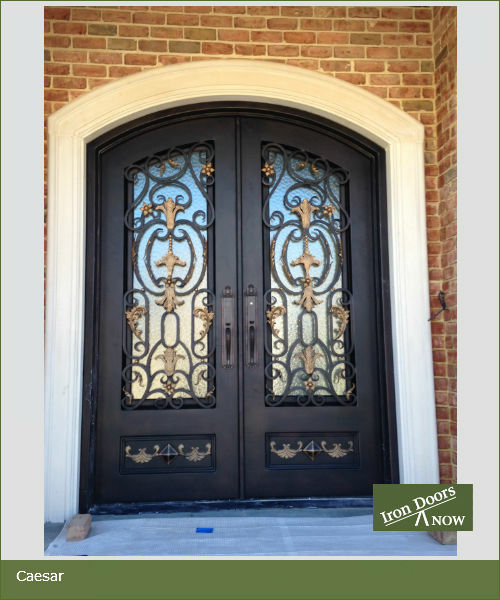 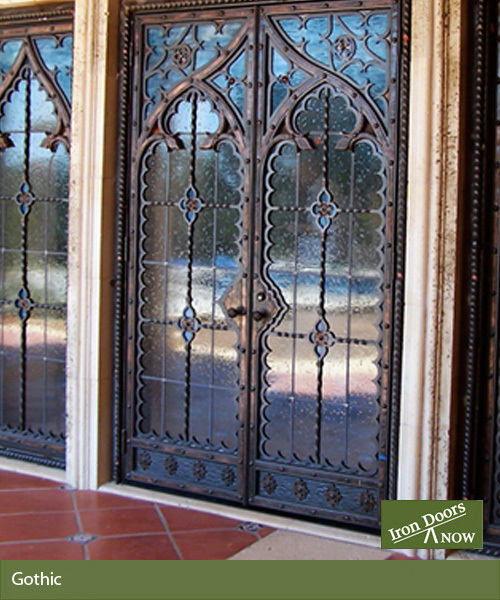 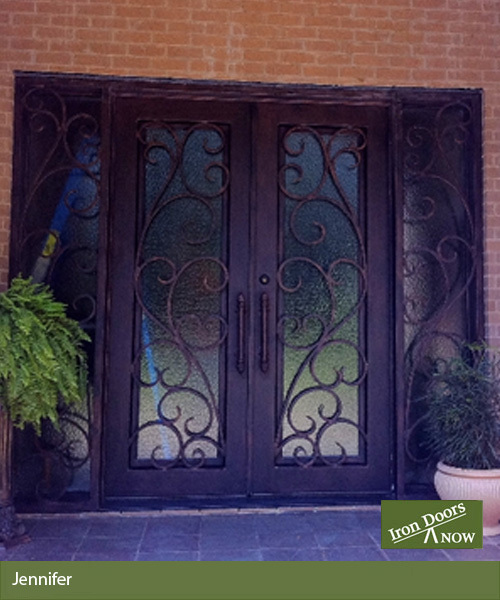 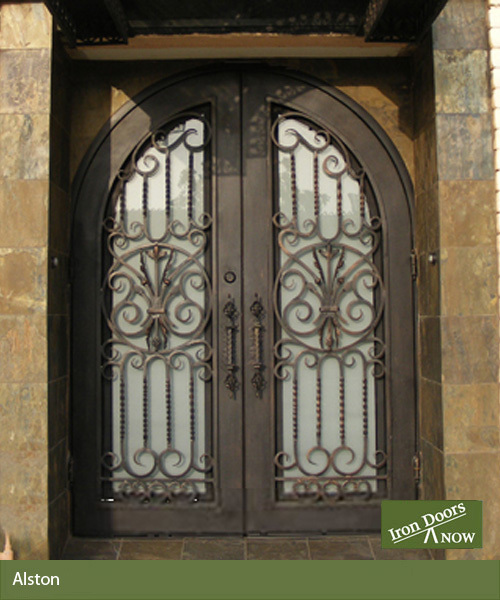 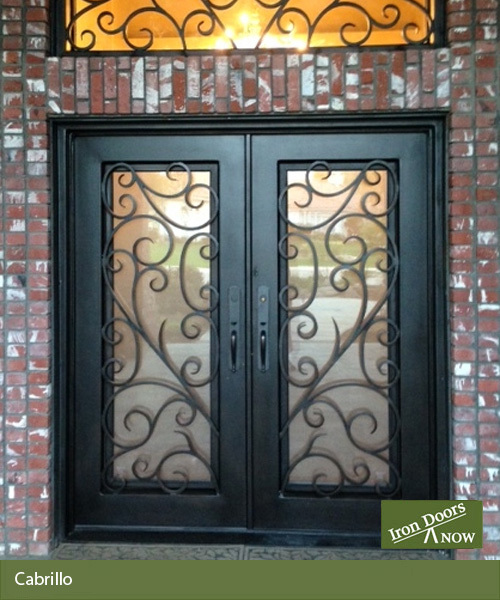 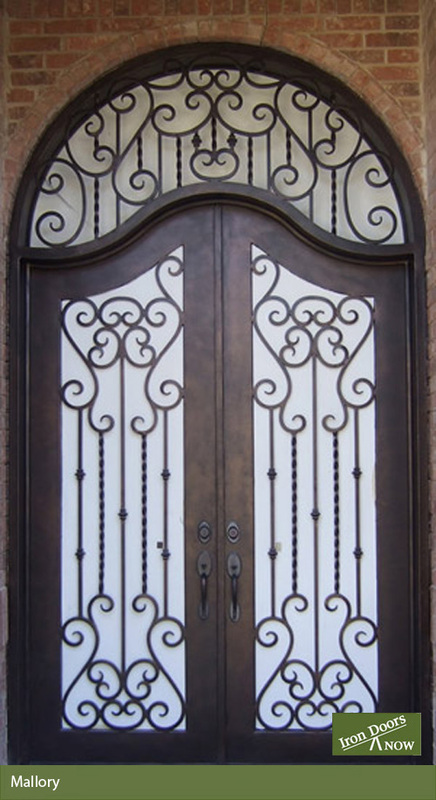 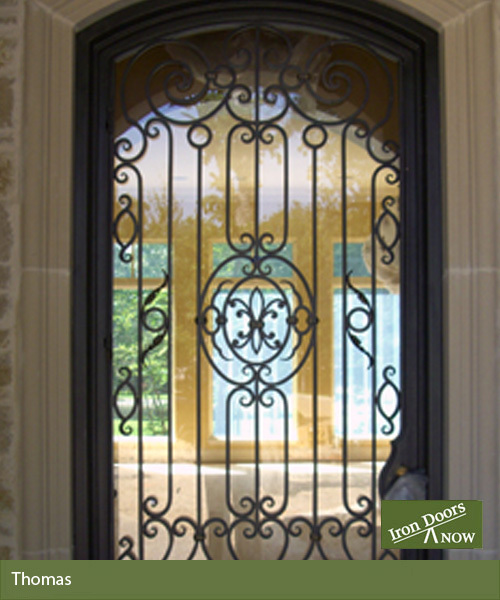 We'll create any additional wrought iron work you need to coordinate with your new iron doors. 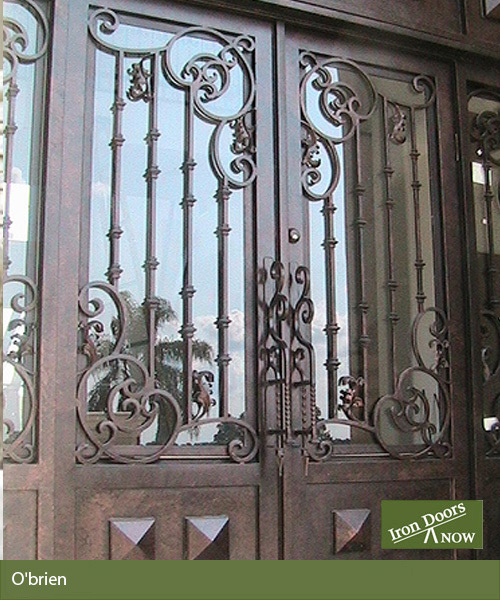 You'll see several photos in our gallery featuring matching iron décor such as wrought iron railing or balconies. 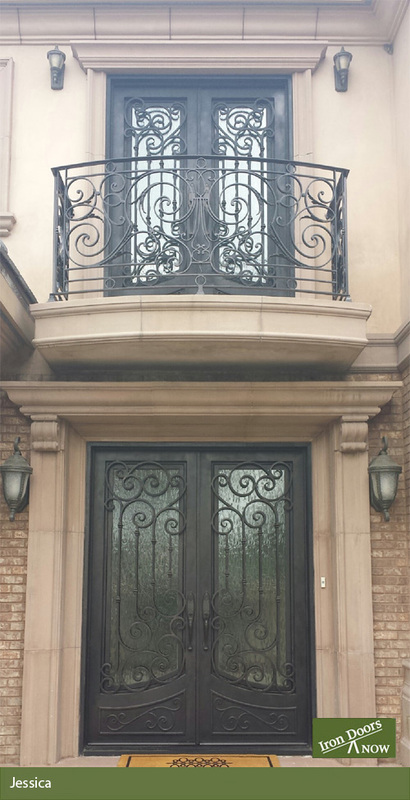 We can even design a custom wrought iron mail box that carries the wonderful style and complexity of your iron doors right to the curb. 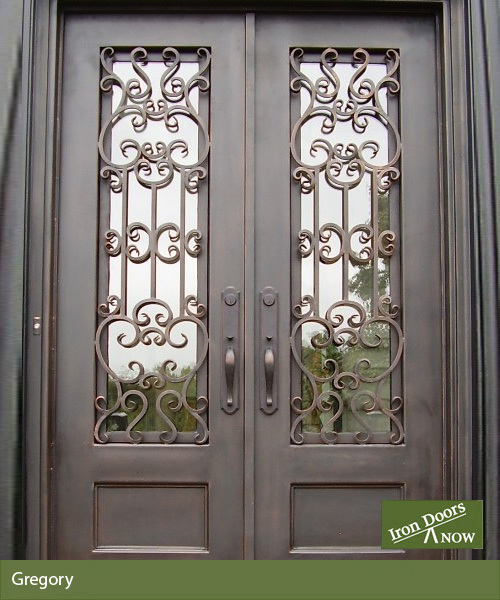 If you don't see the perfect doors in our gallery, give us a call. 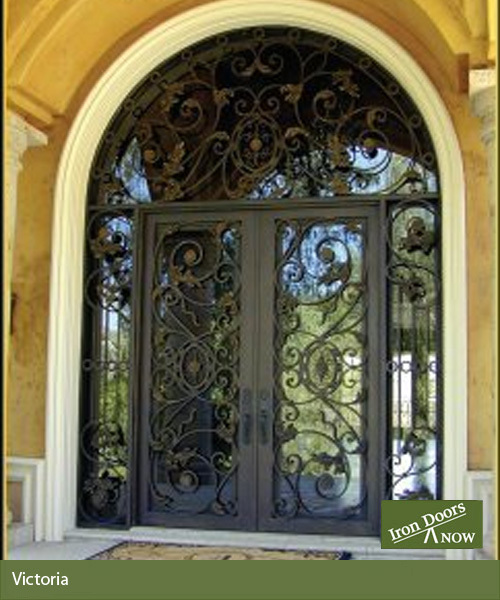 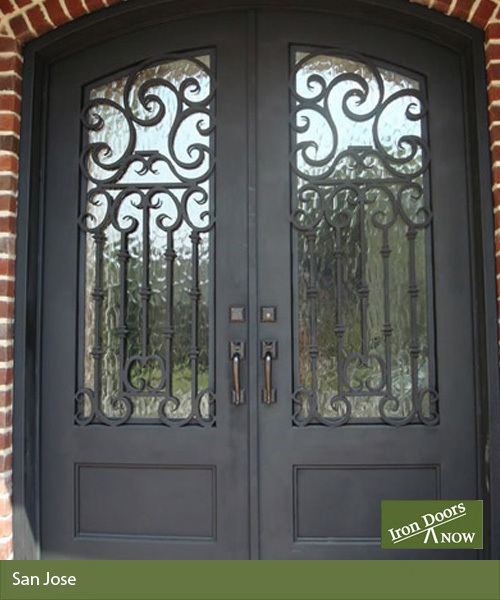 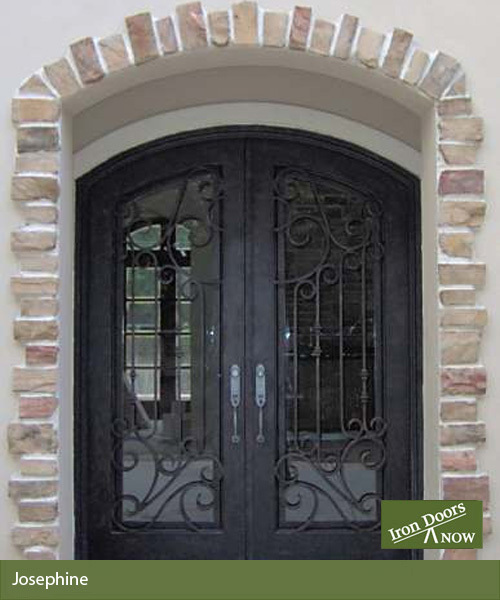 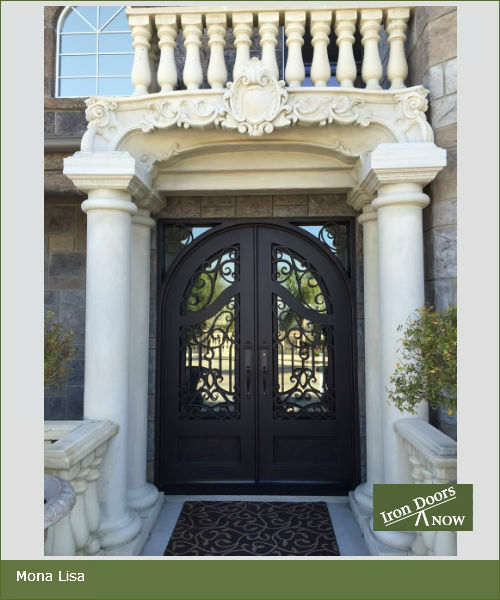 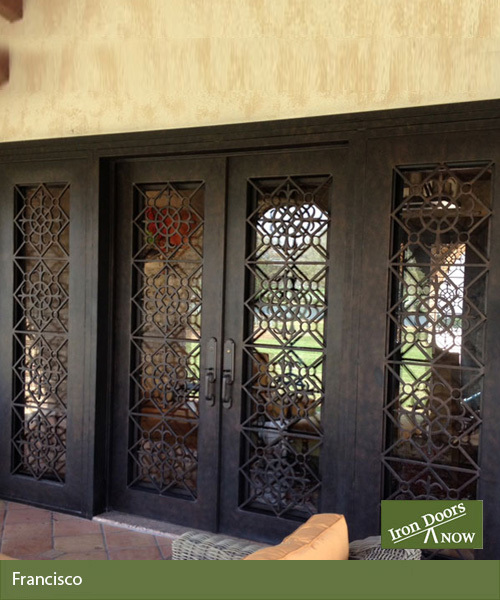 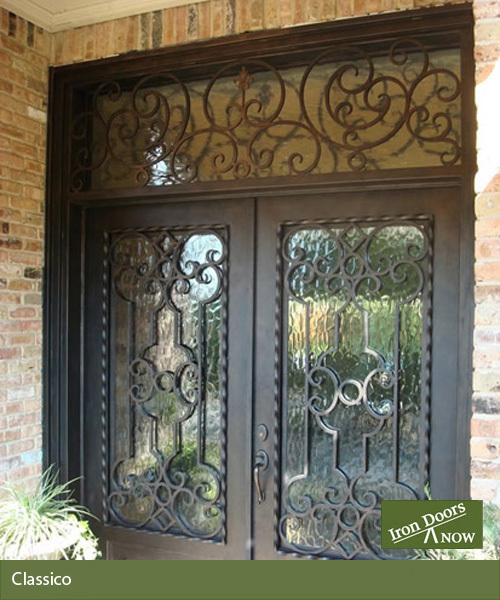 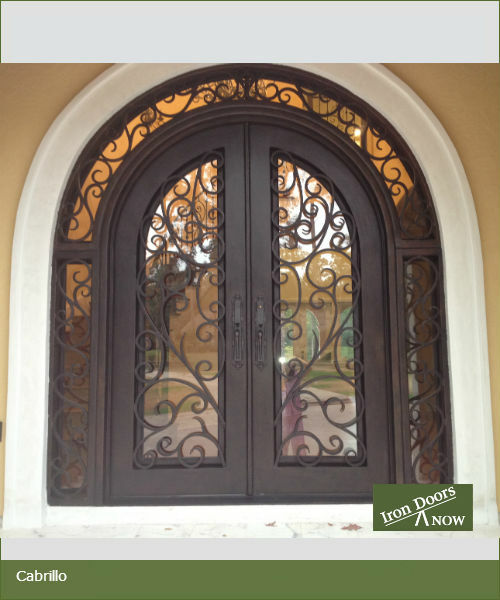 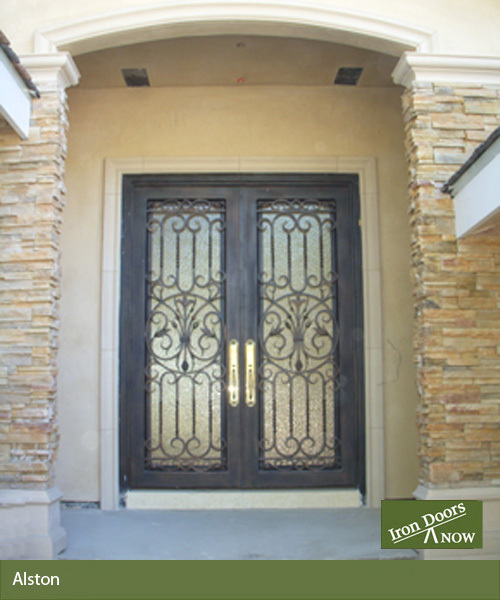 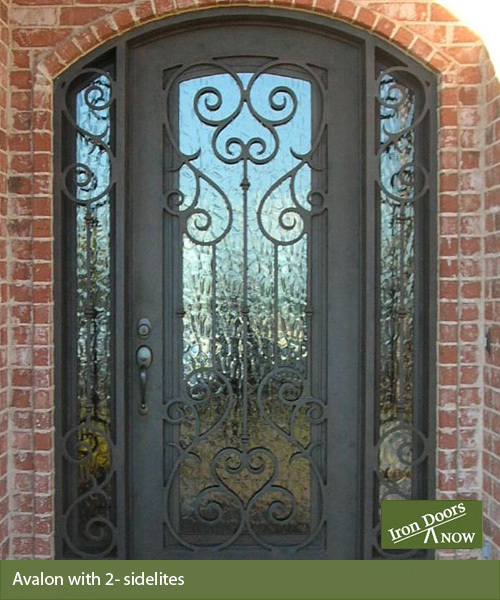 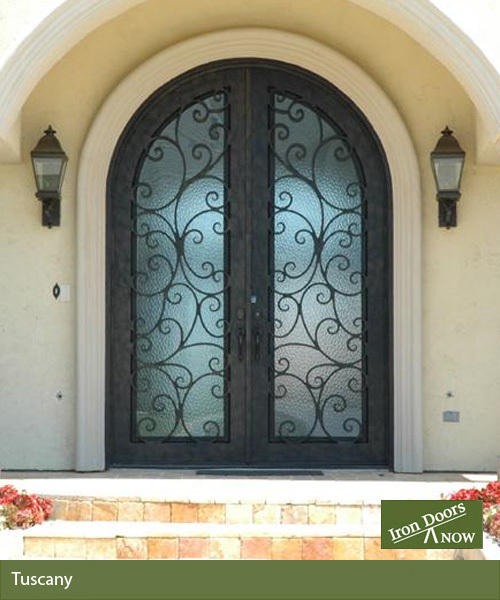 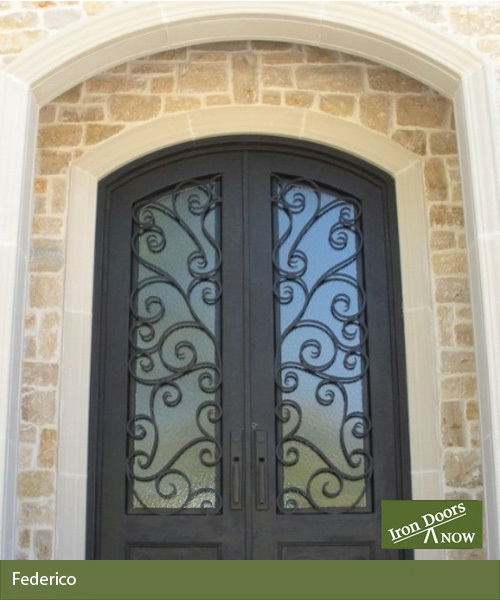 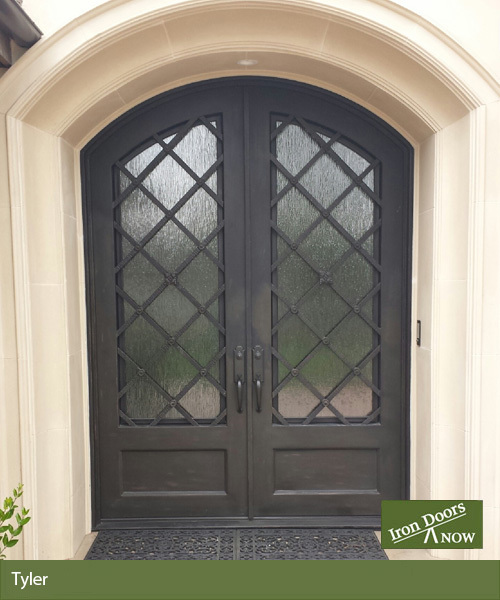 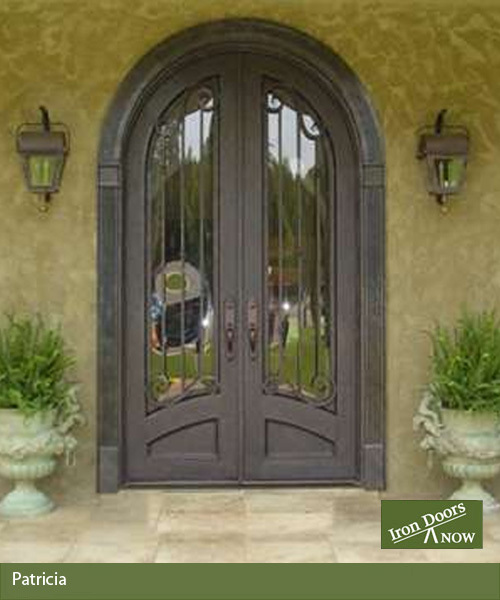 Whether you're looking for single or double iron doors, with or without arches, we will work with you to create iron doors for your home you'll fall in love with.